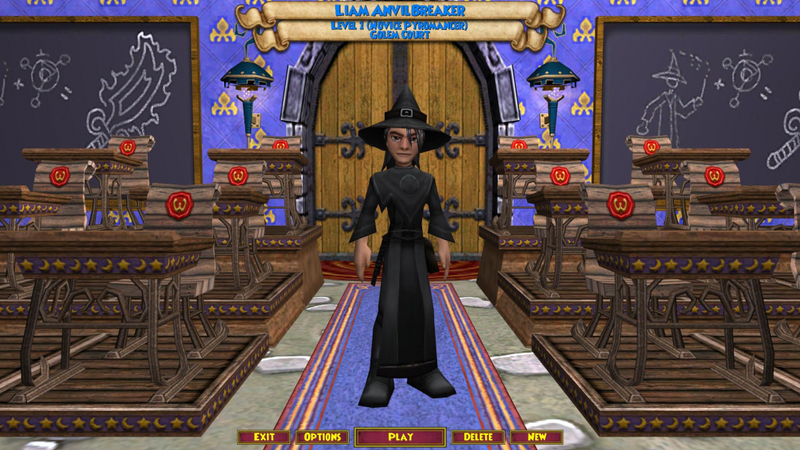 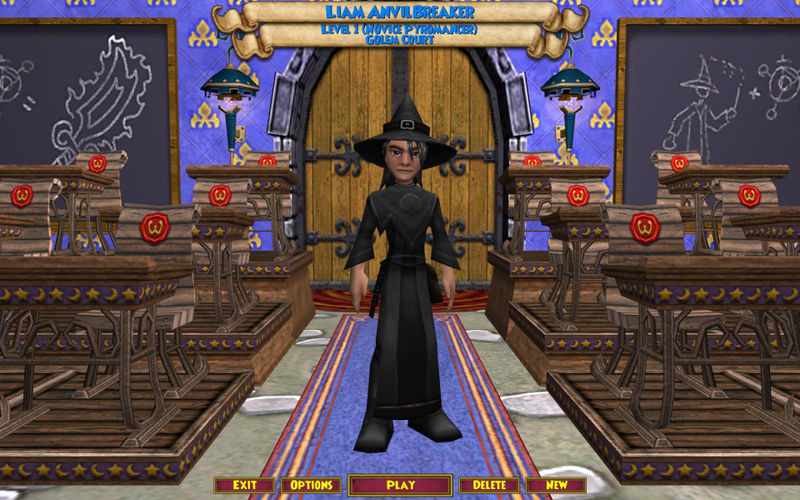 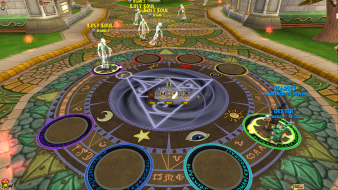 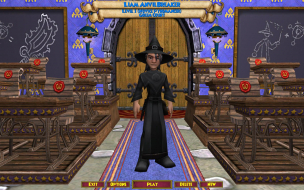 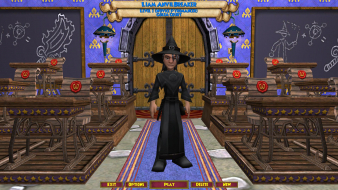 Players take on the role of students of Wizardry to save the Spiral (which is the set of worlds this game takes place in), and battle a variety of creatures by casting spells using a turn-based combat system similar to collectible card. 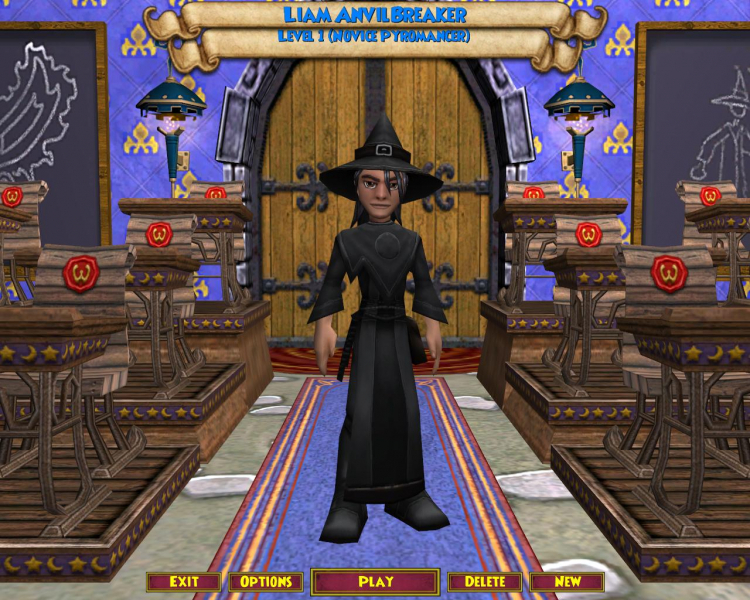 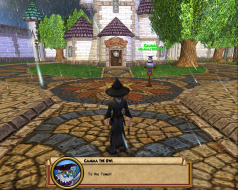 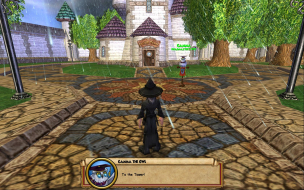 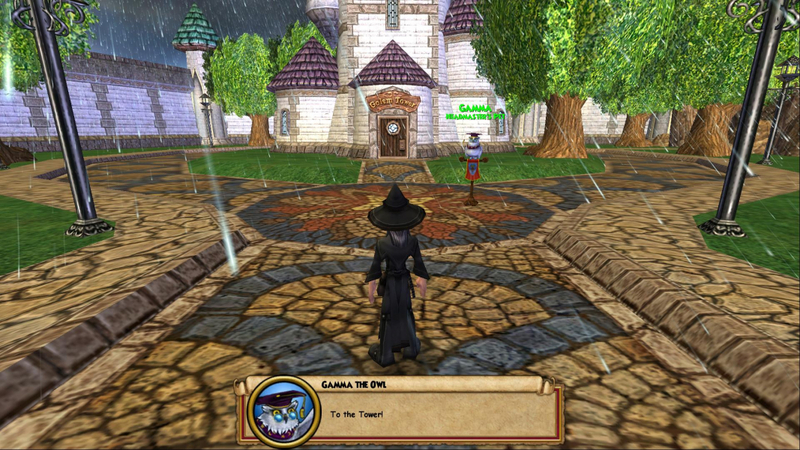 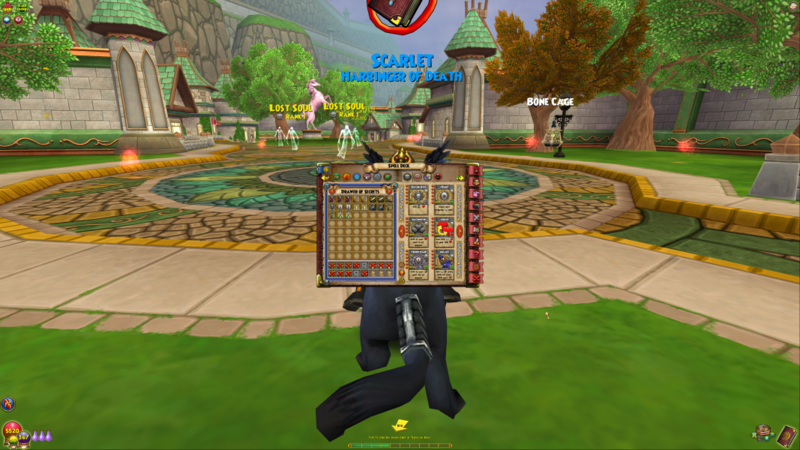 Players advance in the game by accepting quests to learn new spells, gain equipment, and collect gold. 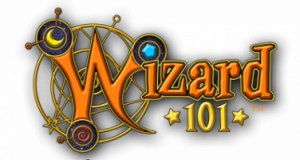 The game holds a rating of "Everyone 10+" from the Entertainment Software Ratings Board for crude humor and mild fantasy violence. 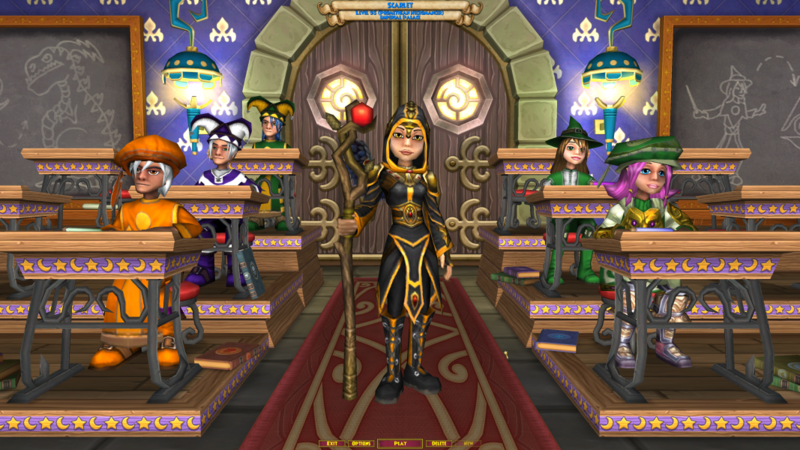 Although designed for pre-teens, the game appeals to all ages. UI is so tiny in some places (such as in battle) that it's nearly impossible to read.